I have trouble uploading images. I am using the version 2.6.1. (FCKEditor). Web Server: Internet Information Server (localhost). 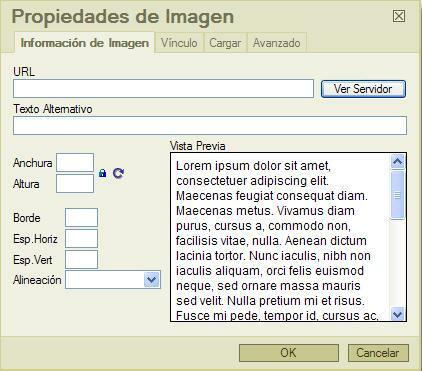 If I do it manually folders "userFiles" and "image", does not display the error message, but not upload images. Were you ever able to resolve your issue with uploading images? I'm still unable to upload images. After selecting an image and pressing the "Send it to the Server" button, all I get is the progress bar and nothing else. Our server runs Apache on a SunOS (Unix) box.